He was one of the best-known columnists of WWII and a Pulitzer Prize-winning journalist. 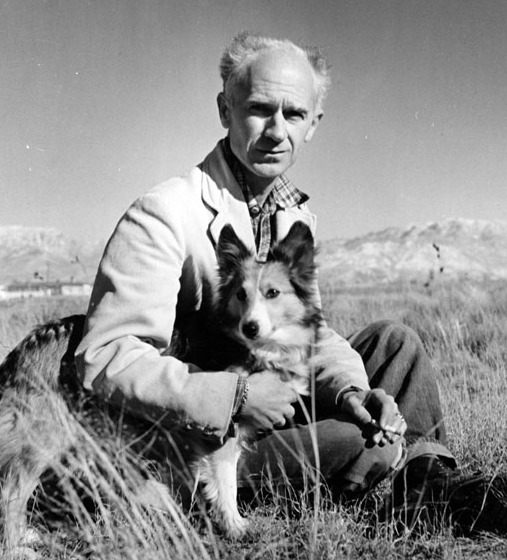 Ernie Pyle was known as a “fox-hole” war correspondent; one who traveled with the troops. He wrote his columns in a folksy-Hoosier style that endeared him to readers the world over. 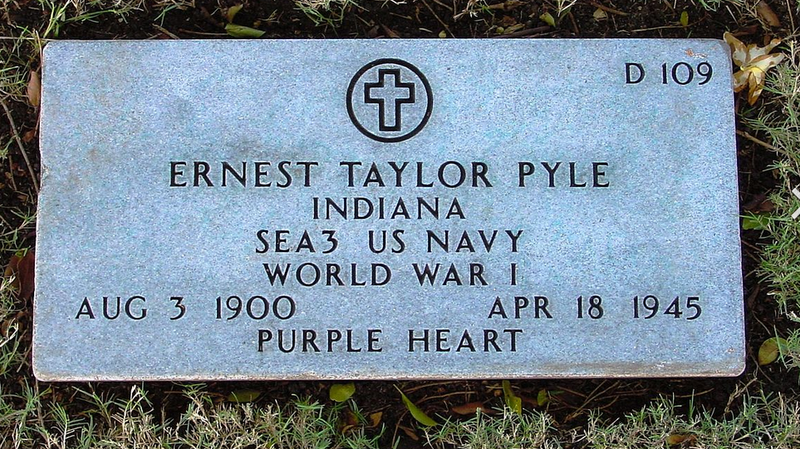 Ernest Taylor Pyle was born on August 3, 1900 to tenant farmers William Clyde Pyle and Maria Taylor near Dana, Indiana. Pyle grew up in Indiana and attended Indiana University. He quit school with only one semester remaining to take a job at a Laporte, Indiana newspaper. In 1925 Pyle married Geraldine Siebolds and the next year, quit his desk job to travel America. He and “Jerry” traveled over 9,000 miles before he headed back to The Washington Daily Newspaper. In 1928 he became the first aviation columnist, interviewing Amelia Earhart and Charles Lindbergh. 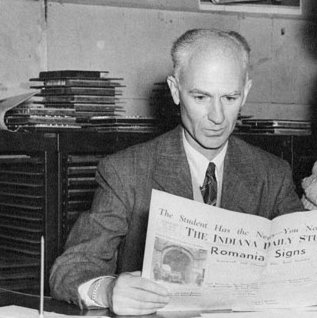 Pyle became the managing editor of the Washington paper in 1932 but had to take a leave of absence two years later, due to the flu. It was during this time that he began writing columns. The columns were so successful that the Scripps-Howard newspaper chain offered him a deal to write a national column. Pyle quit his editing job and took to the road again, this time to write columns about the interesting people and unique places he found along the way. 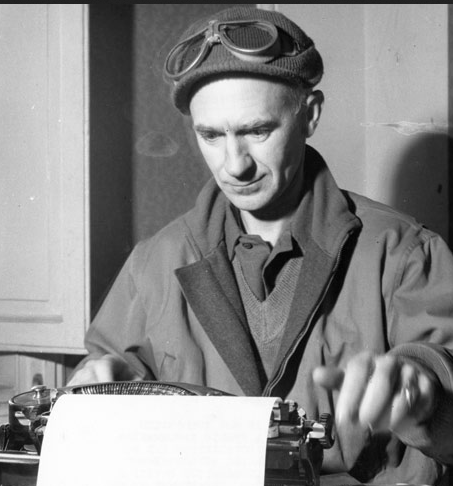 With the beginning of WWII, Pyle became a war correspondent in the European Theater, offering a glimpse of the day-to-day life of the American soldier. 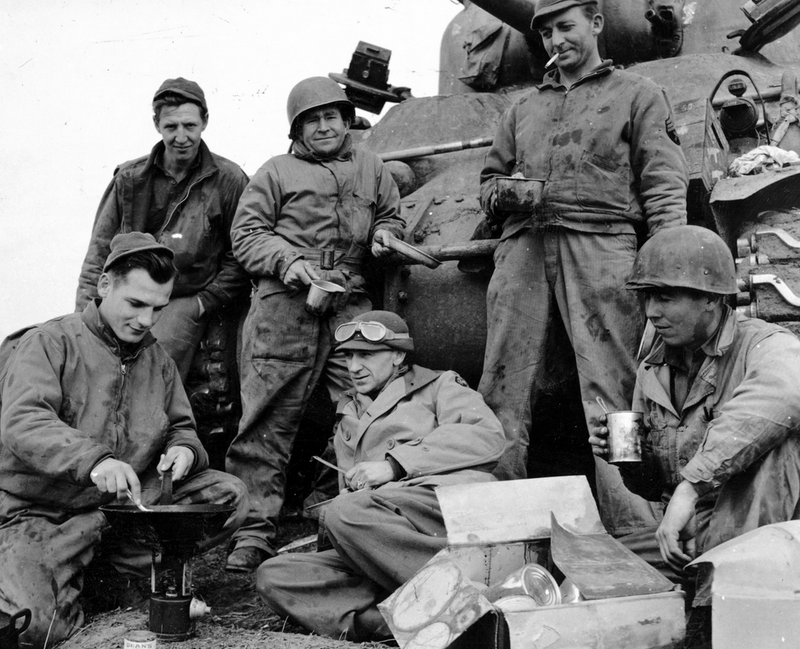 Pyle was what we now call an “embedded journalist”; he lived and traveled alongside these soldiers, getting to know them and going into battle with them. One of his most read and reprinted columns, “The Death of Captain Waskow,” later inspired the documentary The Battle of San Pietro and a motion picture, The Story of G.I. Joe. 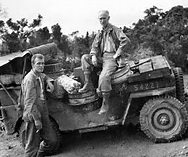 Pyle covered the war from the frontlines in France, Italy, Sicily and North Africa. His columns appeared in over 400 daily newspapers and 300 weekly papers. By the spring of 1945, Pyle was covering the Navy in the Pacific Theatre. On April 18 Pyle and several other men were traveling along the beach on Ie Shima Island located northwest of Okinawa Island when Japanese guns began firing at them. The men abandoned the vehicle they were traveling in and jumped into a ditch for shelter. When there was a lull in the shooting, Pyle looked out of the ditch to make sure everyone had made it in, that’s when a bullet struck him in the left temple. He was 44-years-old. 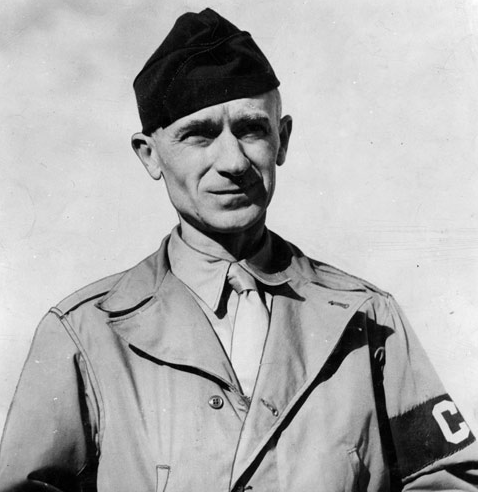 Ernie Pyle was buried with his helmet on in a row of graves among other soldiers killed on the island. Representatives from the Army, Navy and Marines were all present for the 10-minute funeral. 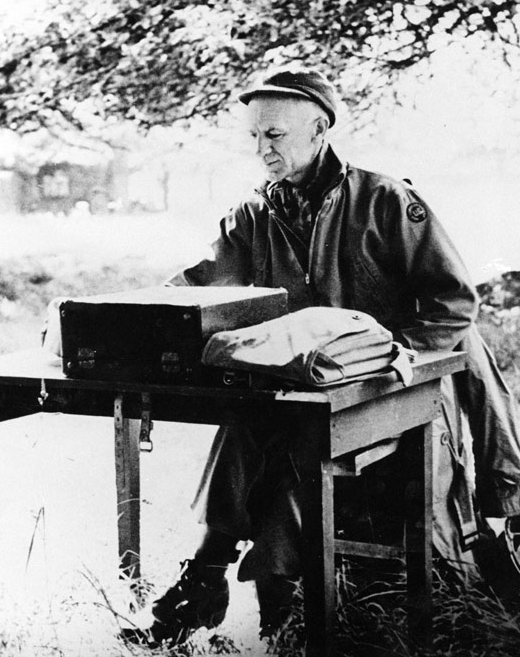 Pyle was remembered by President Harry Truman, and many generals, including Gen. Dwight D Eisenhower and Gen. George C. Marshall, as a rare and dignified correspondent and an enlisted man’s best friend. Pyle’s body was later moved to the Army cemetery on Okinawa and once again relocated to the National Memorial Cemetery of the Pacific in Honolulu.